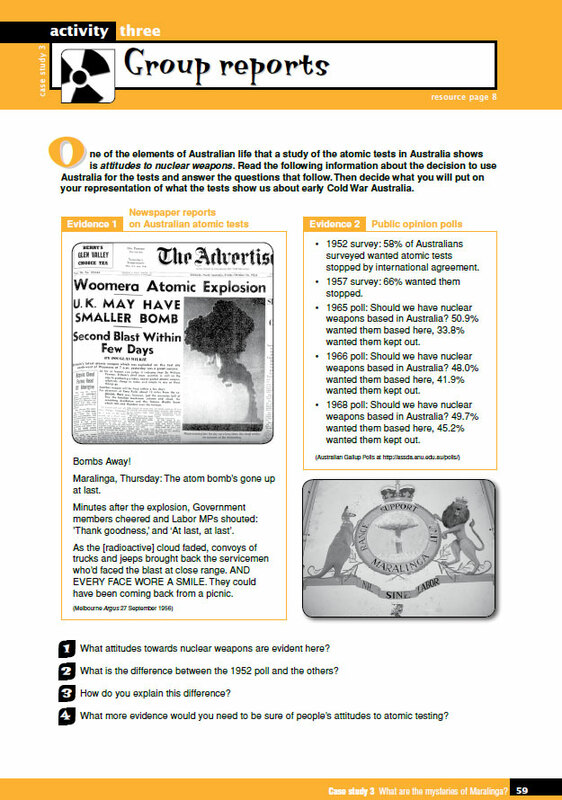 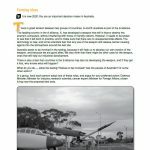 Students explore an important Australian Cold War event that is often overlooked in Australian history: the testing of atomic weapons in Australia in the 1950s. 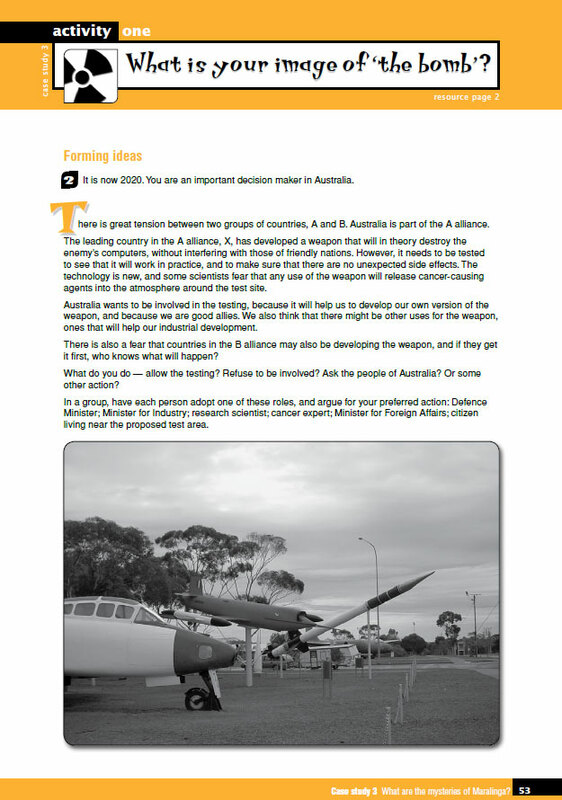 They ask what it reveals about the Australia in which it occurred and in doing so explore both their own values, and develop an empathetic understanding of the values and attitudes of Australian society during the Cold War. 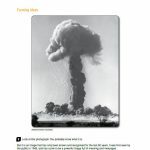 Students also investigate the effects of nuclear testing on Aboriginal people from that area and ongoing debates about responsibility and compensation since that time. 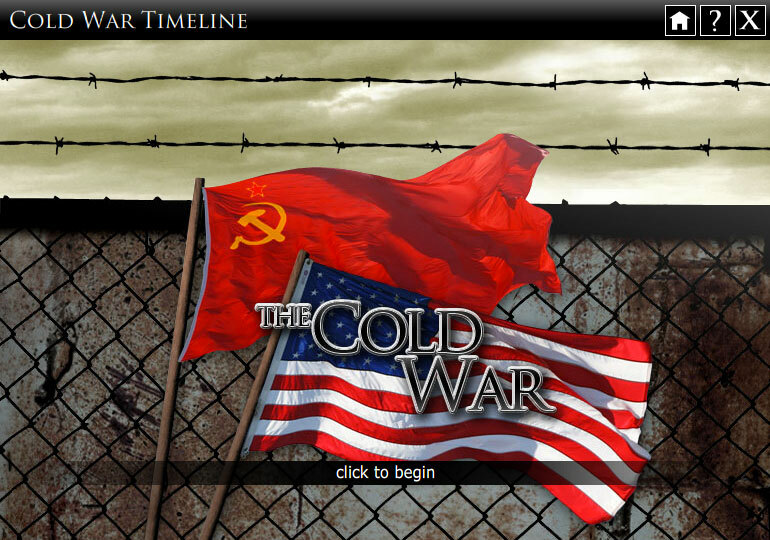 An interactive entitled, Cold War timeline, is also available for this case study. 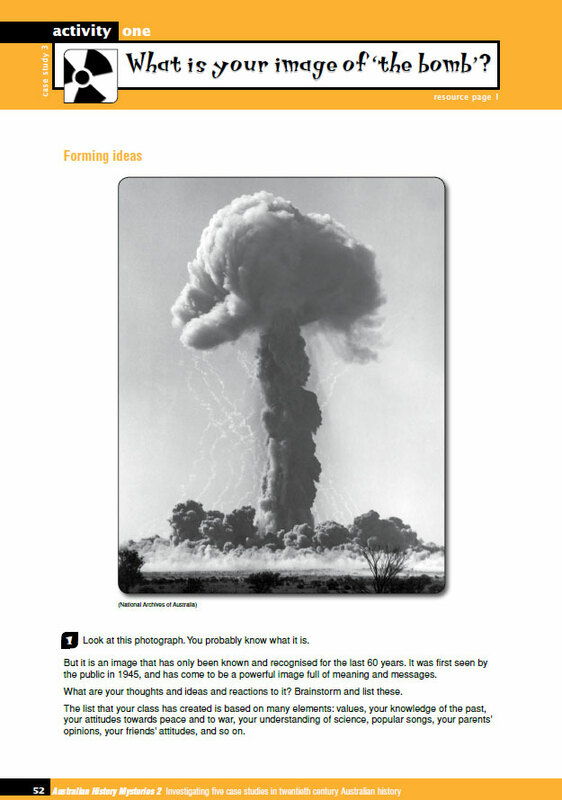 Activity 1: What is your image of ‘the bomb’? 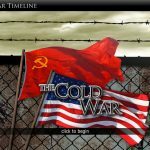 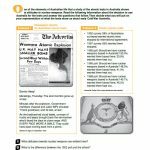 A timeline of some significant international Cold War events, including events that involved Australia.